Naomi Campbell Covers Uptown Magazine – Sooo Fabulous! 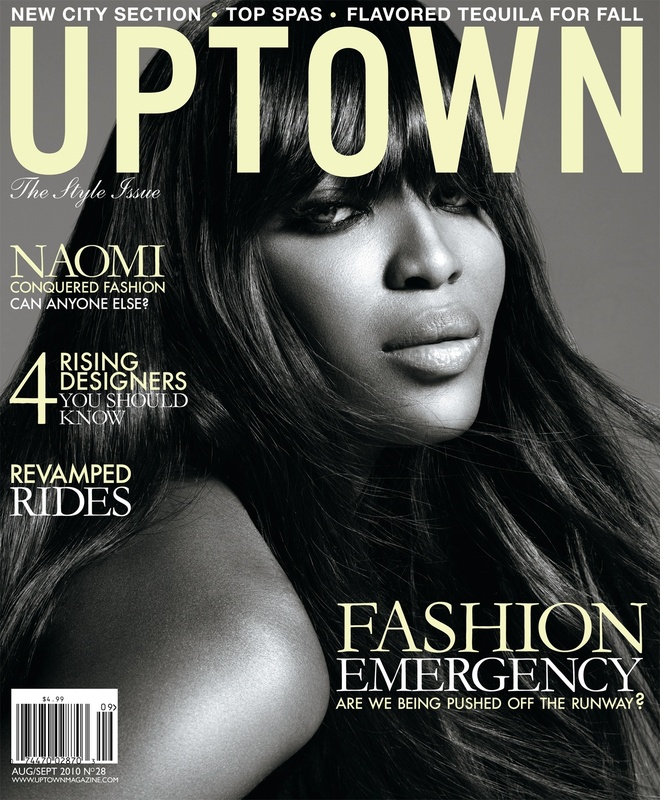 Tuesday the 2010 style issue of Uptown Magazine hit newsstands, featuring supermodel Naomi Campbell. It’s one of two covers for Campbell for African-American magazines this month. (Check out the September issue of Essence here). This issue of Uptown features an in-depth look at the current state of the fashion industry and the lack of African American faces on the runways and advertising. “Despite data proving that African American consumers over-index in their purchases of luxury fashion products, many brands including Donna Karan, Calvin Klein, Marc Jacobs, Gucci, Prada and Armani still choose not to target advertising toward them, said Len Burnett, Co-Founder and Group Publisher.